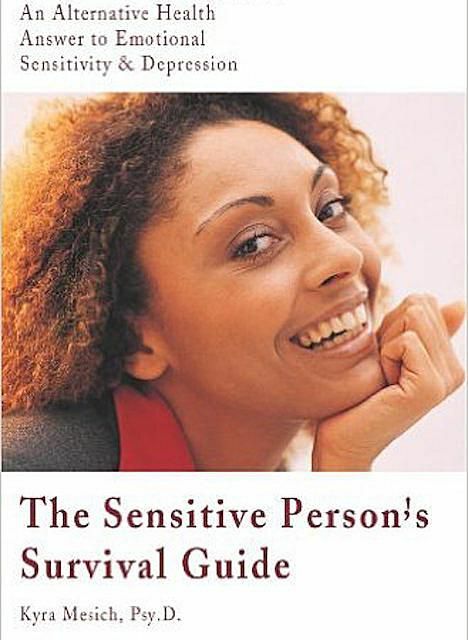 The basis of Kyra Mesich's book, The Sensitive Person's Survival Guide: An Alternative Health Answer to Emotional Sensitivity & Depression, is to aid empathic individuals to learn how to recognize the positive traits of being sensitive. And to learn ways to help release sad and hurtful emotions. She suggests the use of flower essences (vibrational remedies that heal the emotional body) and meditation. Many empathic people are drawn to the healing profession. This is because understanding others' emotions comes naturally to them. The work environment in healing careers can be especially draining as there is great risk of vulnerability of the emotional energies. Mesich's epilogue is a message for counselors, therapists and all helping and healing professionals to protect themselves and create balanced boundaries. As an empathic consultant I certainly recognize this risk and applaud Kyra Mesich for her care and concern for all of us in the healing field. Mesich says that being empathic is a way of communicating emotionally and that the solar plexus is the location where we can tap into this communication center. She explains how this is not a new concept. Often used descriptive language such as... butterflies in our stomach... gut feelings...pit in the bottom of the tummy indicate the connection between our stomachs and our emotional experiences. Mesich teaches our greatest obstacle in learning empathy is our habit of thinking intellectually in our heads. The primary focus of her book is the connection of emotional sensitivity and chronic depression/anxiety. Kyra Mesich is an empath. She received her doctorate degree in clinical psychology from the Florida Institute of Technology. She has also been trained in alternative health (flower essences, herbalogy, energy healing). She resides in Minneapolis, Minnesota. Mesich is the first place winner of the Small Publishers Association of North America (SPAN) Innovation Award for excellence in the publication of her book, The Sensitive Person's Survival Guide.